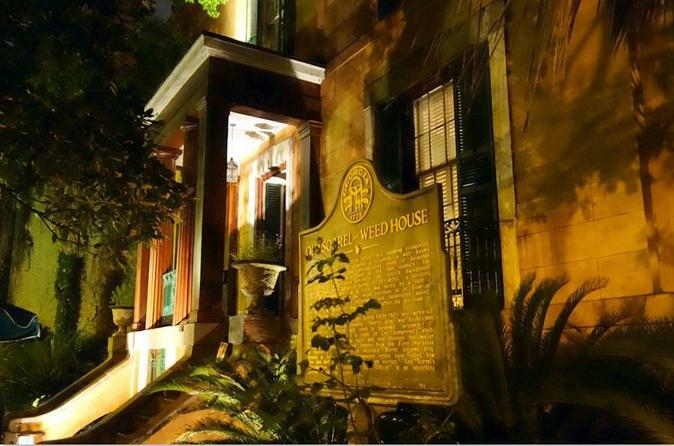 As one of the most active paranormal locations in Georgia, Sorrell Weed House is the ideal place for fans of the supernatural to explore. On this 1.5-hour tour in Savannah, you’ll explore the dimly lit hallways and rooms of the haunted estate. Your guide divulges gripping tales of murder, suicide, and slavery, as you visit significant locations associated with death. This small-group tour, limited to 15 people, is not suitable for children. Make your own way to Sorrel Weed House, a vast estate formerly owned by Brigadier Sorrel, and greet your guide at the entrance. Under the cloak of darkness, the atmosphere is heightened and conducive to a tour of one of Savannah’s most haunted locations. As you tour the house’s interior, your guide provides a historical introduction, elaborating on Sorrell Weed House’s dark past and haunting reputation: hear of Matilda Sorrel’s abrupt suicide, the shocking demise of a servant, and discover family secrets that are bound to shock. Head out into the courtyard to see where Matilda Sorrell fell to her death and then explore the carriage house, the former home of many slaves. Spend a chilling interlude in the private quarters of Molly Sorrell, in an attempt to solve the mystery of her suspected murder. After one and a half hours, bid your guide farewell.